After living with hearing loss for years or potentially decades your hearing aid can feel like your lifeline. Because hearing loss has a tendency to sneak up on us, it’s highly likely that you were afflicted for a very long time before you took the plunge and sought treatment. That time you fired up your hearing aid for the first time was probably precipitated by years of miscommunications, misunderstandings and frustrations which left you feeling upset and alienated. Thus, after years of getting along swimmingly with your hearing aid, it can be a source of extreme distress when your hearing aid stops working. In order to work towards a swift and effective resolution to this issue, it’s vitally important that you know what to do when your hearing aid is in need to repair. If your hearing aid is new to you, you may not be aware of two common issues that can lead to a loss of function. The most obvious is a dead battery. While hearing aids tend to emit a tone when their batteries are low, sometimes we remove our hearing aids at night and forget to turn them off and they use their battery life overnight. 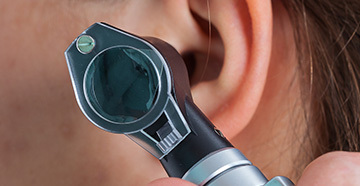 Secondly, check for any blockage in the earmold or connective tubing caused by earwax. These can inhibit the sound reaching your ear and make it seem dead. In many cases clearing out the earmolds and leaving them to dry overnight is enough to make them function perfectly. Technically proficient hearing aid users may feel the urge to take their devices apart to try and get to the root of the problem, but this is not advisable for a number of reasons. Hearing aids are elaborate, sophisticated and idiosyncratic devices. While you may boast some proficiency with electronics and have seen some great YouTube tutorials to help you on your way, attempting to fix your hearing aid yourself could ultimately do more harm than good. Furthermore, it may invalidate your warranty. Is your hearing aid unresponsive despite you checking and replacing the battery? Id it making an unusual sound like a whistling or a ringing? Is the sound coming out warped or distorted? Make a note of how the hearing aid is behaving. Avoid using it once you have done this as merely turning your device on could exacerbate the underlying problem. 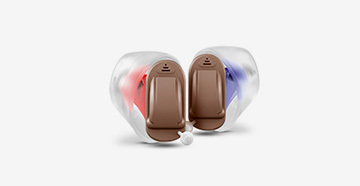 Make an appointment with the provider you purchased your hearing aid from. Explain to them exactly what has happened and arrange an appointment to get your hearing aid repaired or replaced. They may be able to carry out an on-the-spot repair, they may need to replace it outright or they may be able to issue you with a loaner set while you wait for more complex repairs to be carried out. When your hearing aid ceases to function, knowing what to do is of paramount importance!